"Reynolds' simple line drawings with bursts of color have become iconic, and they serve the simple, affirming text with their own vision of the emotions and possibilities we humans have in this wide world . . . Grown-ups will enjoy reading this regularly with the children in their lives: The reminders benefit us all." "Verde brings it all together in the end with the connectedness of humans to each other. The clear and concise text is well-matched by Reynolds’ familiar illustrations in which viewers follow an unnamed boy of color (born on page one) on his human journey . 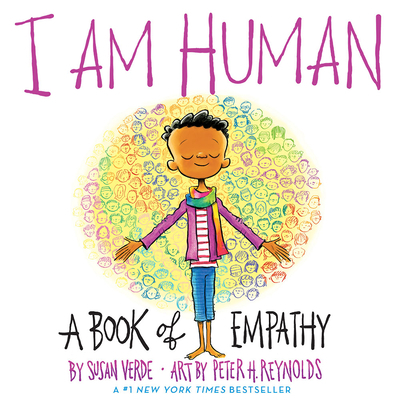 . . An age-appropriate and hopeful look at what it means to be a connected human on this planet."